We received these cool low-tech gifts for kids with big imaginations for review. All opinions are my own. Tis the season to wrack your brain over what to get your almost-pre-teen kid! I really miss the toddler years. My son was SO much easier to buy for then. We’d get the toy catalog, I’d say “this looks cool, don’t you want it?” He’d say “yes.” Within minutes, my list was done! Now, he’s 9 going on 19 and all about the high-tech fun. While I’m pretty encouraging of his tech interests, I don’t want him connected 24-7. What if Revolution comes true and the lights go out tomorrow? He’d never be able to entertain himself! 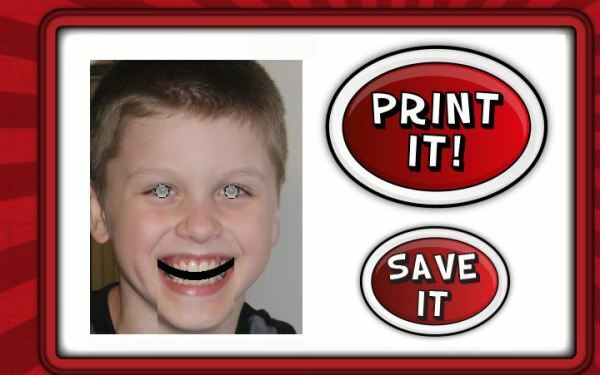 Jake and I received two really cool items that even your high-tech kids will love: Blobbits and Big Mouth Masks. 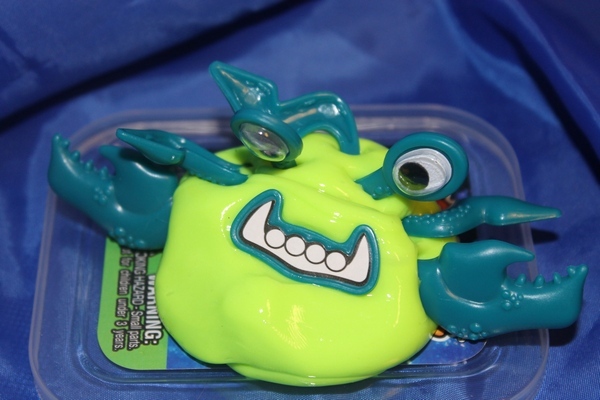 The Blobbits were definitely a HUGE hit here! Jacob and I played with them over and over. I don’t think we’ve engaged with a low-tech toy that much in a LONG time! 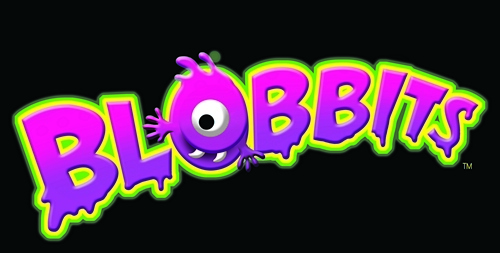 Blobbits are fun little monsters that start with a putty-like base. From there, the rest is up to you. 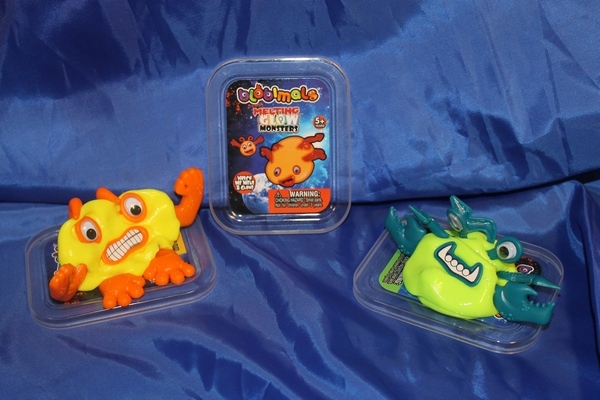 Each set comes with all the pieces you need to create your own cool creature, including eyes, nose, mouth and other parts. Put your creature together, then stick him under the light to absorb the rays. After a short time, he’ll glow in the dark. Leave him out even longer and he’ll melt away! The melting was our favorite part! We’d create creatures, then come back a couple of hours later to see them melted back int blobs. You can see our creatures in various states of melting in the picture below. Since you get four different colors, the fun goes much further. Try mixing and matching the pieces to create really crazy monsters. Jake wouldn’t let me do that, though. I’m just glad he let me play! I’m kidding, he’s a sweet, generous boy. Blobbits even bounce, but we didn’t try that out because with so many pets, I didn’t want them to get ruined with hair. 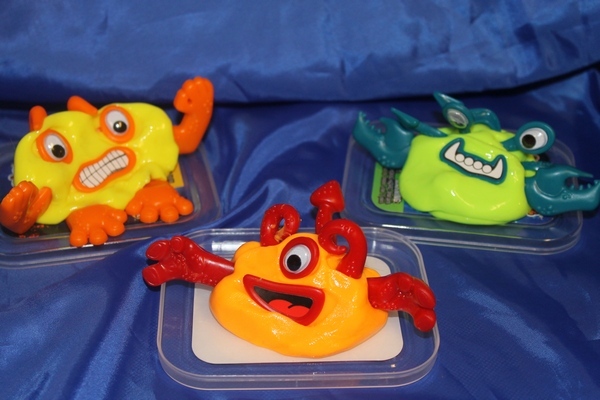 Visit the Blobbits website to purchase your four-pack for $9.99 + shipping. Check them out on Facebook and Twitter for more fun. 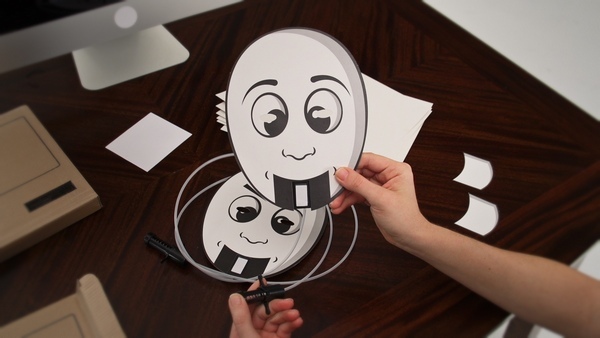 The next item on our very short list of cool low-tech gifts for high-tech kids is Big Mouth Masks. Sadly, we didn’t get to experience the full excitement of this one because my printer up and died. It’s spouting a mystery error code that I don’t understand. Basically, it’s bricked and I need to get a new one. I also originally planned to review Big Mouth Masks in time for Halloween, but illnesses and a death in the family pushed things back quite a bit. Honestly, though, I think they encourage imaginative play year round. Your set comes in the mail. You open it up and, if you’re like me, skip the instructions and get a little confused at first. You actually READ the instructions, head to www.createmymask.com and get started with their extremely easy walkthrough. 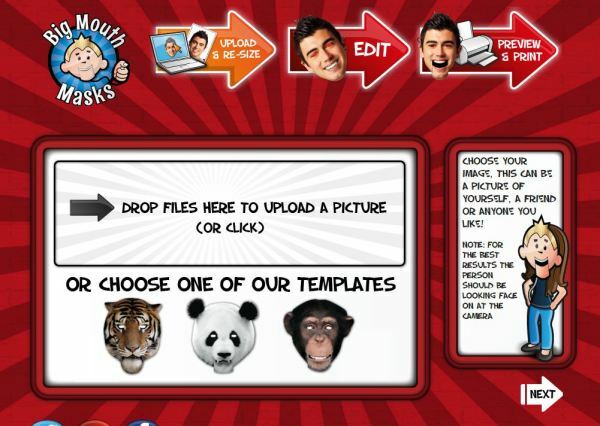 Upload your picture or choose one of their templates. 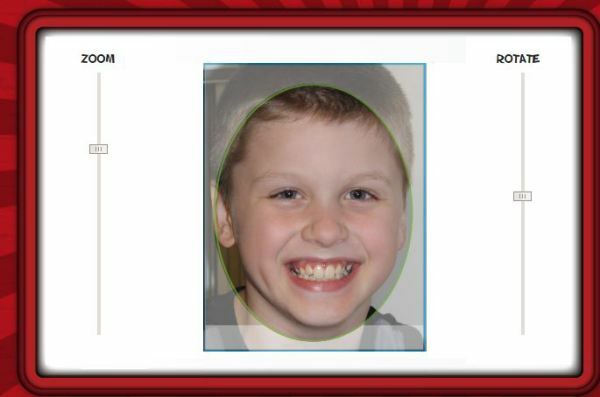 Once you have your picture selected, zoom in so the face fills the screen. Continue following the directions to the end. You can either save your mask for later or print it right there. Check out the Big Mouth Masks website to learn more! Masks retail for $14.99 + shipping, but they often have deals on their site. Follow them on Facebook and Twitter to keep up with news. I know exactly what you mean! So much easier to buy for the babies and toddlers and preschoolers. Now they want iPads or iPhones or iPods.